KTM dealerships are accepting bookings for the 125 Duke for a token amount of Rs. 1000. The bike is likely to be launched in India by the end of this year. Internationally, the 125 Duke is offered with ABS as standard. In a surprising move, KTM India is likely to introduce the 125 Duke in India by the end of the year in the country. KTM dealerships in Mumbai and Pune have confirmed to carandbike that they are accepting bookings for the new entry-level street-fighter at a token amount of ₹ 1000. While the launch date has not been officially announced yet, reports suggest the launch is likely to happen by December 2018. Deliveries will commence soon after the launch. 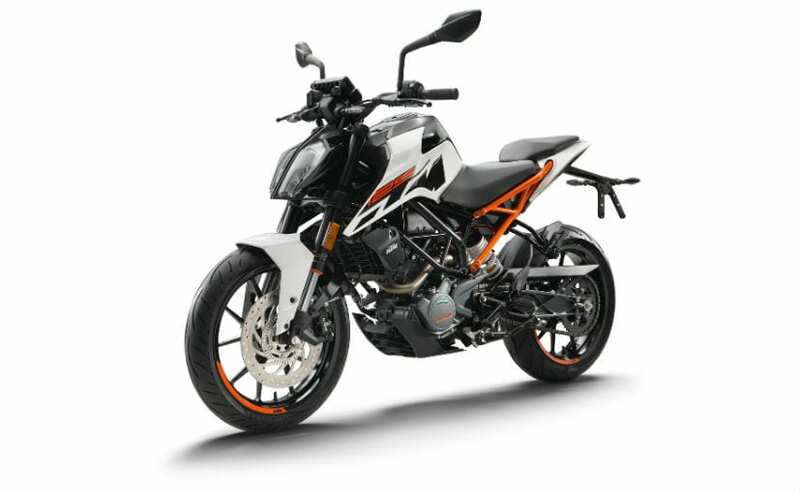 This will be the updated KTM 125 Duke that was revealed at the end of 2016 and shares its styling with the KTM 250 Duke. The naked motorcycle will also be the most expensive 125 cc offering to go on sale in the country. Power on the KTM 125 Duke will come from the 124.7 cc single-cylinder, liquid-cooled engine tuned for 15 bhp and 12 Nm of peak torque. The motor is paired with a 6-speed gearbox. The bike comes with USD forks up front and a monoshock suspension setup at the rear, while braking performance comes from a 300 mm front and 230 mm disc at the rear. Internationally, the 125 Duke is offered with ABS as standard, which could be skipped on the India-spec model since it is not mandatory for motorcycles below 125 ccc. Moreover, the bike will get a price advantage with the absence of ABS. The bike is likely to get CBS (Combined Braking System) instead, which is a lot cheaper in comparison. The TFT screen that is offered on the KTM 390 Duke is also likely to be given a miss to keep costs in check. It is to be noted that the KTM 125 Duke was always intended to be an export-only offering ever since KTM commenced operations in India. While the motorcycle benefits from the same cycle parts as its older siblings, it also emerges as a more expensive offering compared to other "premium" 125 cc motorcycles. In Europe, the 125 Duke is largely targeted at A1 license holders with the government restrictions in place, making it a good-looking, fun-to-ride 125 cc bike for young buyers. In India, the 125 cc segment is seen largely as a commuter segment for anyone looking for more power without compromising on efficiency. The KTM 125 Duke clearly does not belong to that segment, but could just be a lucrative choice for those looking at a fun-to-ride urban runabout. In terms of competition, the 125 Duke will compete against the Yamaha YZF-R15 V3, Yamaha FZ 25, Bajaj Pulsar NS 200 and the likes. So, yes, prices are likely to be around ₹ 1.50 lakh (on-road), which will make it about ₹ 20,000-30,000 cheaper than the KTM 200 Duke.